Dubai, located within the United Arab Emirates, is one of the best know cities in the world. Part of the notoriety Dubai enjoys comes from substantial developments and investments from the west. Nestled along the northern coastline, Dubai is home to just over 2 million permanent residents. The city has earned a reputation over the past decade or so as a popular vacation destination. Is Dubai worth visiting for those looking for more than just glitz and glamor? Let`s take a look at what this desert oasis has to offer. 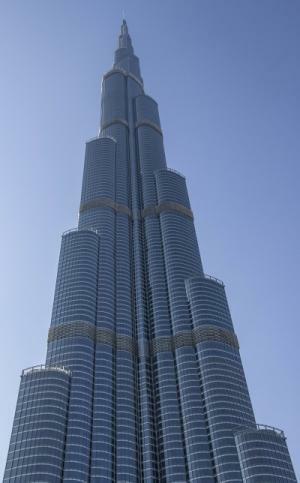 Dubai is definitely the most modern and progressive of the cities that make up the UAE. This is reflected in the city`s modern public transportation system, considered to be the best in the Middle East. You`ll still find plenty of cars and taxis in the city though. Visitors can purchase a day pass for unlimited rides on the metro. There are some discount cards that can be purchased at metro and bus stations. Some offer savings of up to ten percent. Those looking to enjoy a more casual pace can take a ferry across the city`s main waterway, Dubai Creek. If you`re going to do any shopping in Dubai, you have to visit the Dubai Mall. With more than 1200 stores, it`s easy to see why some consider the Dubai Mall a city all by itself. Aside from offering a collection of many of Europe`s most popular stores, the mall is home to an aquarium, Olympic-size ice rink, and even an indoor theme park. If you get hungry while shopping, take a break at any of the 160 food outlets found here. Skiing in the desert may seem like an impossibility. Not in Dubai. Ski Dubai is an artificial winter wonderland build into the Mall of the Emirates. In addition to five ski runs, the facility includes ice sculptures, a freestyle zone, rail jumps, and a tiny sledding hill that`s perfect for beginners. Adding to the winter touches here, you`ll find ice-carved penguins and a walk-through snow park. Even the most cynical traveler has to be somewhat impressed. Your best bet for seeing stars here, other than the ones in the sky, is at the Buddha Bar. The bartenders put on a show while making drinks that`s very similar to what was seen in the movie Cocktail. Aside from a wide selection of drinks, enjoy a delicious meal in a casual and relaxed atmosphere. Celebs also tend to show up at trendy restaurants and nightclubs found throughout Dubai. Just 25 minutes from the downtown area is one of the city`s most popular beach destinations. Beaches in Dubai offer more than just miles of sand and plenty of sun. Jumeirah Beach is the city`s most popular beach. The Al-Mamzar Beach Park is a collection of multiple beaches with amenities ranging from special play areas for children to man-made lagoons. Jebel Ali beach is know for its duty free industrial zones and man-made palm trees. • Sezzam – This spacious restaurant embodies the grandeur of Dubai. Global cuisine is the theme here. Styles from just about every part of the world are reflected on the menu. • Karachi Darbar – This Pakistani restaurant is characterized by a friendly, relaxed atmosphere and a menu peppered with the occasional Indian and Chinese specialty along the wide selection of Pakistani delights. • Almaz by Momo – If you want to experience the local culture here, this is the best place to go. While no alcohol is served, there is plenty to enjoy. Favorites include tender pigeon pastilla, lamb tagine, and savory Moroccan pastries. Wash your meal down with some delicious cinnamon tea. Dubai is sometimes referred to as the world`s playground. While that may be true, that is not necessarily a basis for determining whether or not a city is worth visiting. However, when you factor in other considerations such as the diversity of area restaurants, plentiful transportation options, first-rate shopping opportunities, and unique amenities like a ski facility in the middle of the desert. Dubai stacks up nicely when compared with any other prime vacation destination. Christina the author of the Dubai worth visiting guide writes for the Baking Nook official site on a variety of topics including international meal spots.